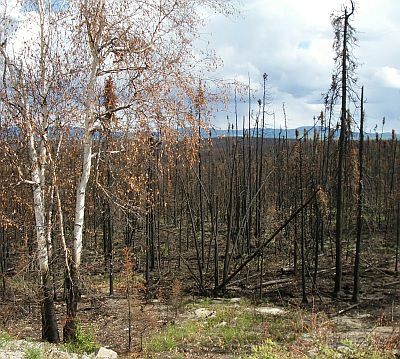 For what it’s worth, I believe I drove past this spot shortly after it burned…the leaves on the birch tree were curled, but I would have bet money then that the birch would live. I guess I would have lost. I have pics of another spot about half a mile away that was still burning at the road’s edge. Only a few; the heat was such I was afraid it would blister the paint on the truck.